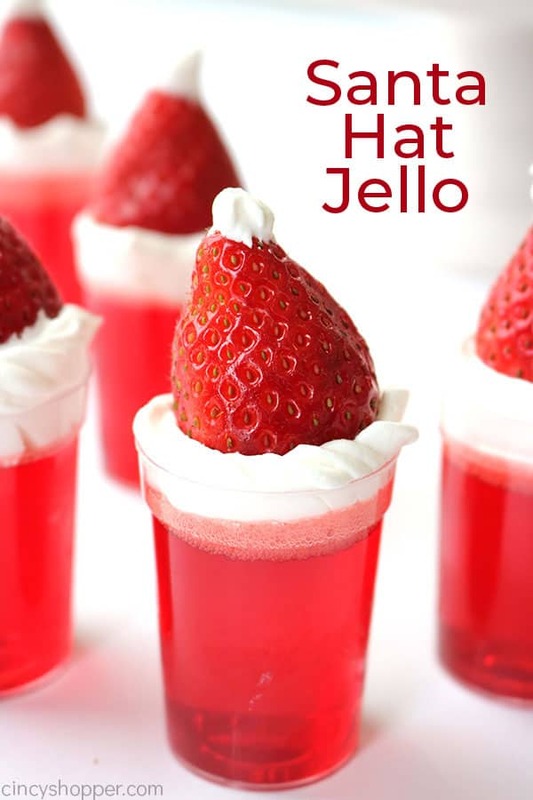 If you are looking for a quick and easy Christmas treat idea, look no further because these Santa Hat Jello Cups are so easy and are perfect for serving a crowd. During the holidays, I am always looking for super simple cute treats to make. 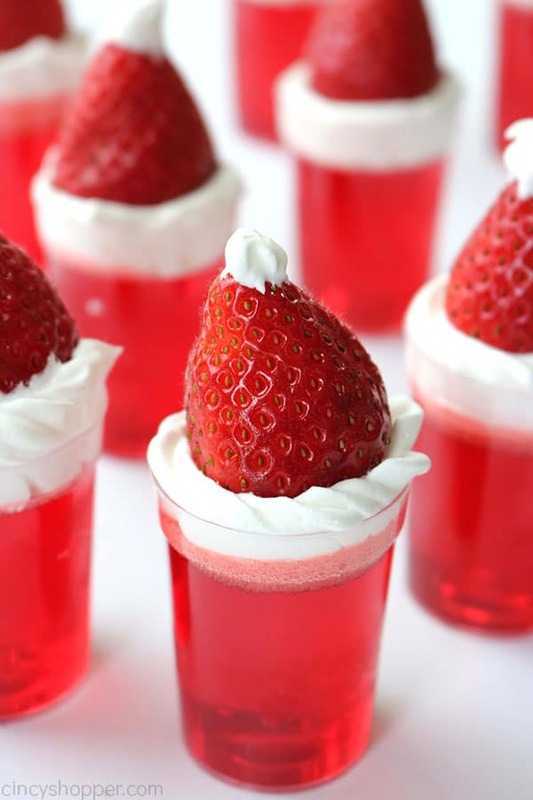 Jell-O cups are one of my favorite easy desserts I make. 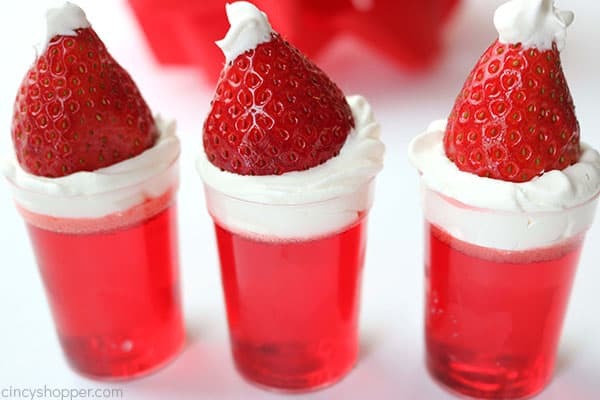 Past Christmas’s, I have made our simple layered Christmas Jell-O Cups. They are so easy and the red and green colors are so pretty for the holidays. For 4th of July, I make our Firecracker Jell-O Cups and for Halloween time, I always make Candy Corn Jell-O. Most everyone loves Jello. So it is always one of the first treats to disappear when we serve them up to our guests. They are great for most potlucks and perfect for holiday office parties. Individual treats always work best. No messy dishes to deal with if you use disposable shot type cups from the grocery. 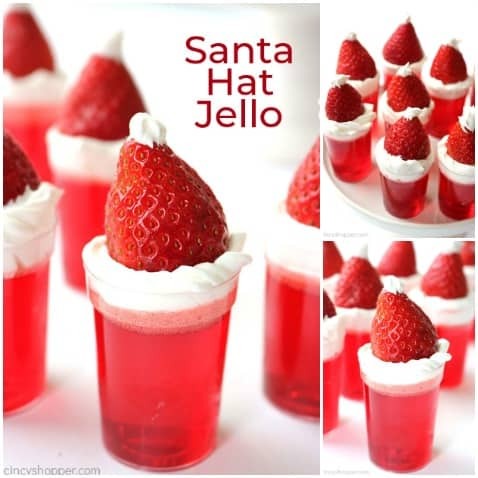 Santa hat treats are always all over Pinterest during the holidays. I shared a simple Santa Hat Oreo treat idea with you a few years back. 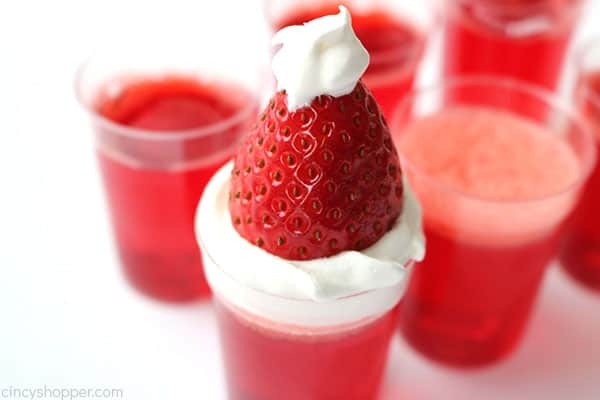 A simple strawberry with some Cool-Whip or whipped cream turns a basic strawberry into a cute santa hat. It for sure gives a festive flare to just about any dessert. 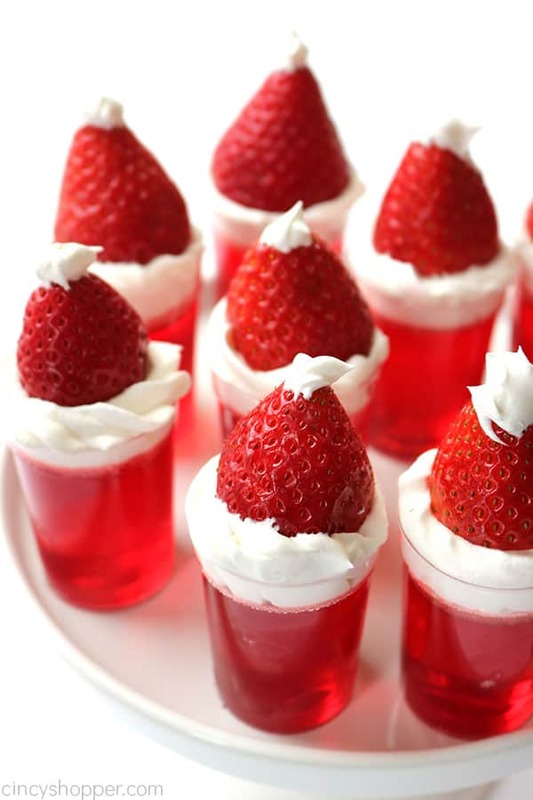 Grab yourself some strawberry or cherry Jell-O to make these cute Christmas treats. Strawberry keeps the flavors consistent. 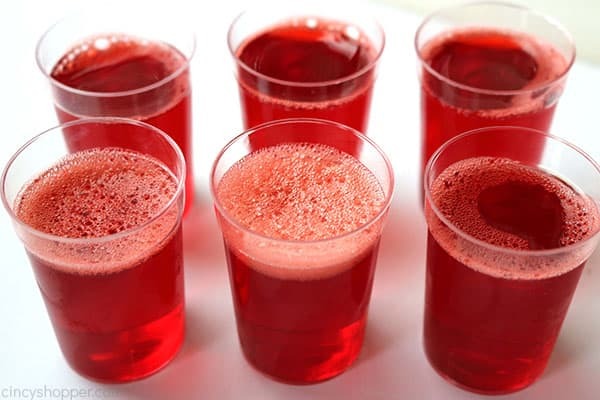 I like to use cherry though because the Jell-O is much brighter in color. I pipe Cool-Whip in my cups instead of real whipped cream. 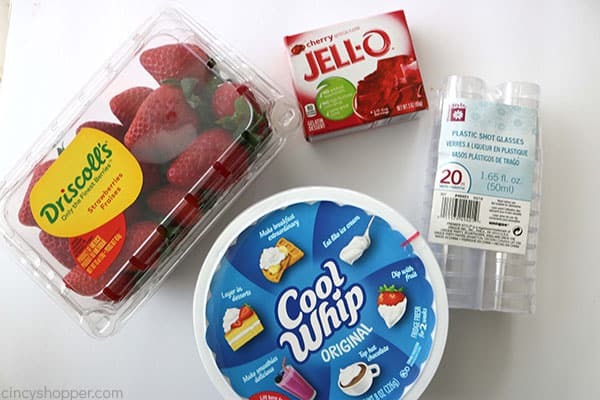 The Cool-Whip has way more stability so I can make them ahead of time. Be sure to buy the brightest looking strawberries you can find. 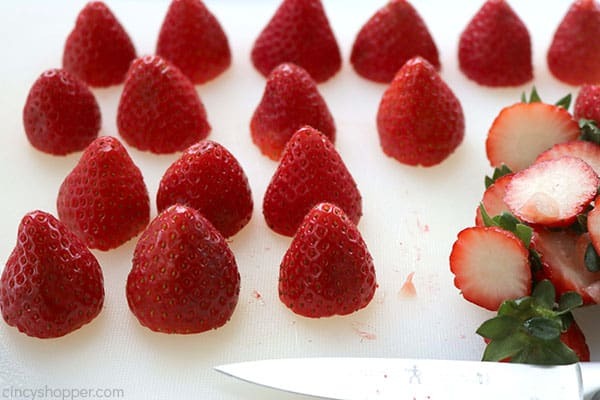 This time of year when strawberries are not in season, the colors are not always as bright. I purchase my plastic shot cups at Kroger. They are a perfect single individual serving size. Most grocery stores should have them available. 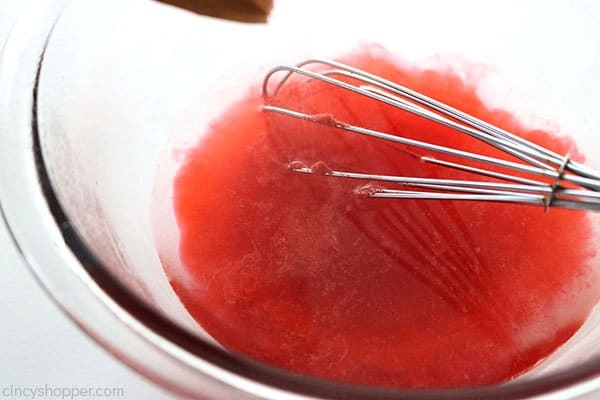 Put gelatin powder in large bowl. Add boiling water and whisk until dissolved. 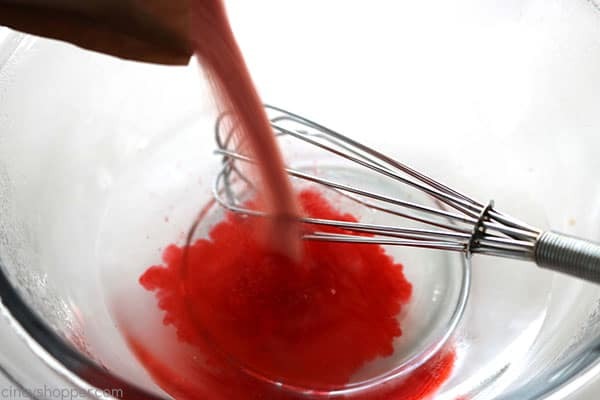 Add cold water and whisk to mix well. 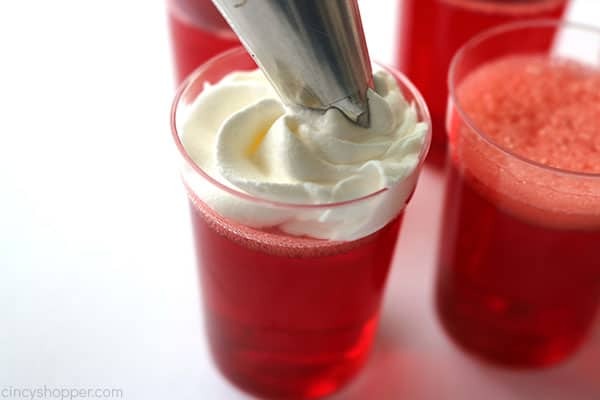 Fill fifteen 1 1/2 oz plastic shot glasses with gelatin mixture and refrigerate until set. Place whipped topping in a piping bag and pipe topping onto each glass. 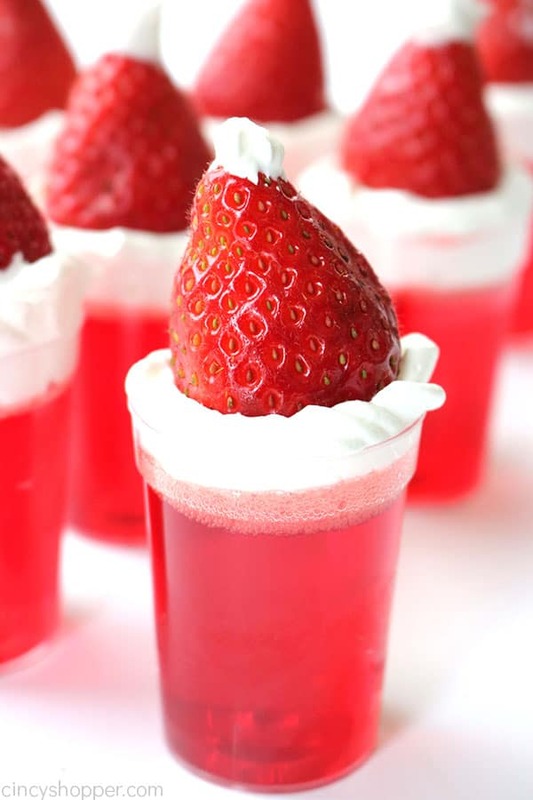 Place strawberry on top of whipped topping and pipe a small dollop onto top of each. Do you make cute themed treats for your holiday get togethers and parties?